GAH, you gotta submit those photos to a contest or something, so beautiful. Maine is the only New England state I haven't visited and those photos make me want to drop everything and go today! Cait and Joe look like the happiest couple on the planet. Adore. 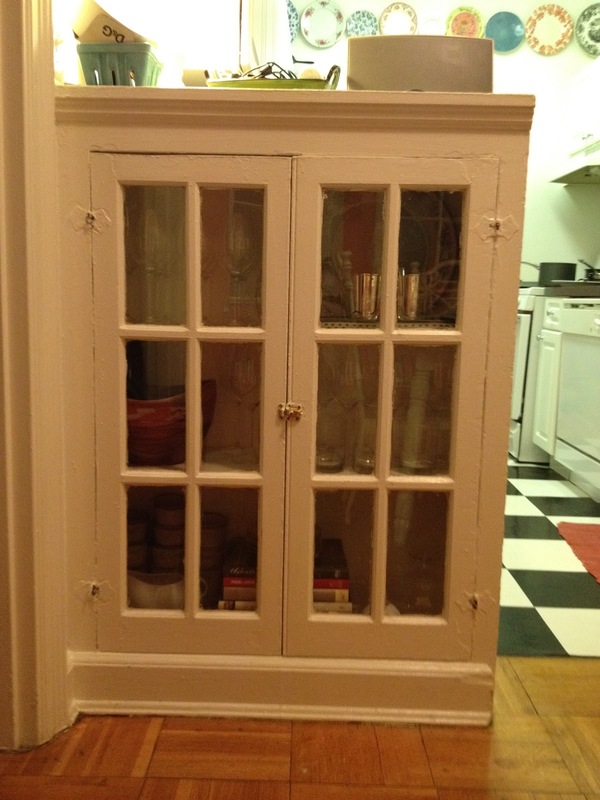 I recently did a lil' work on our so-called china cabinets and I wanted to send you pictures of the update. When we moved in 4 years ago, I kinda just stuffed a bunch of things in the cabinets (part of our eat-in kitchen) and never paid attention to them again. Then last year when we got married and received tons of beautiful gifts to display, I was too overwhelmed to figure out where to put anything. Lots of gorgeousness from Louisville Stoneware where my best friend Emily works. Plus the gold salad plates that my Mom bought me as a shower gift. I was obsessed with this pattern when we were registering for china, but it was WAY outta a price range I was comfortable with. Aren't they gorgeous? We ended up going with the more reasonably priced, and just as gorgeous Jaipur pattern from Macy's, which is still in boxes. (It's metallic in real life, the photo doesn't do it justice). ANYWAY... 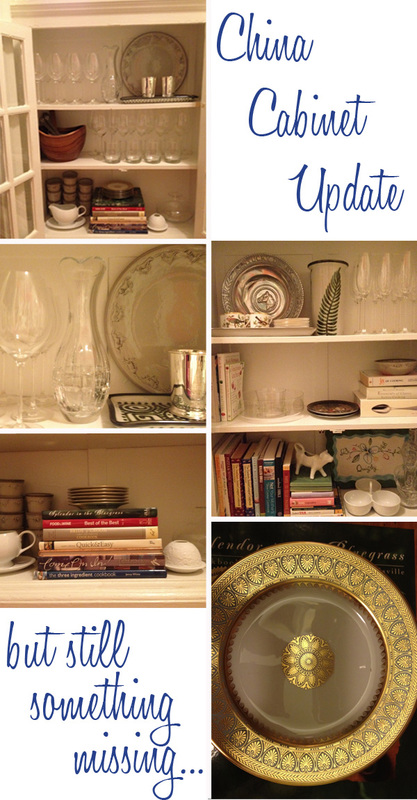 I'm happy with the new china cabinet arrangement but I feel like it needs a little punch. 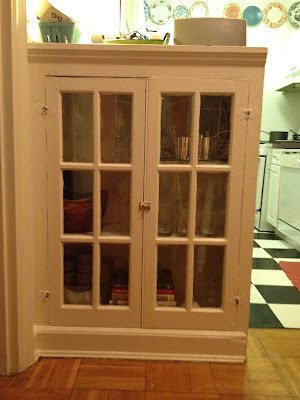 What are your thoughts on me painting the inside of the cabinets the same coral color that is on the kitchen walls? OR, I could maybe get some great paper from Paper*Source and paper the backs of the cabinets? I want all the glass to "pop" instead of getting lost in all the white. See what I mean? PS... If anyone is interested in learning more about Louisville Stoneware, just call the number on the website and ask for Emily. Tell her Deweese sent you! PPS... I'm dying for these bookends. I love getting all organised - such a rewarding task!